NaBloPoMo 30: Fetta Komplett: Finished! NaBloPoMo 30. The official last post of this challenge. This has been a fun run. I tried to add a little spice with Nano Poblano. One of my favorite things about blogging is meeting new bloggers. I load up on categories in my WordPress Reader and find new friends through NaBloPoMo, Cee’s Fun Foto Challenges, WordPress Weekly Photo Challenge, Weekly Travel Theme, A to Z Challenge, Blog Every Day, Book Reviews, and a few more. I enjoy getting comments and “likes” from my faithful visitors. That is so encouraging. our lovely Great-grandmother (1888-1992) from Northern Norway said: “Fetta Komplett,” and maybe believed she spoke French. I commented back that her comment made me think of my dear own little French grandmother, “Grannie,” who mixed English and French when she spoke to us kiddoes. I remember her clear as day, standing in front of her old wood-fired cook stove, with the family dogs Nellie, Queenie, Daisy, and Fluffy scattered around on the kitchen floor hoping for a bite to eat. Dada sat at the kitchen table reading the newspaper. I don’t remember my Grannie saying “Fetta Komplett,” but my high school French told me that maybe “fetta komplett” meant the same as “fait accompli” or “job finished.” Sure enough, Soesterbror confirmed that. 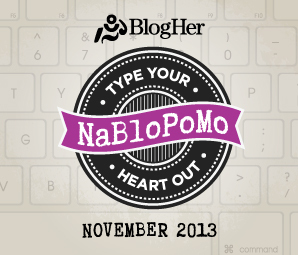 So, today, I can say “Fetta Komplett” because I have finished my last post for NaBloPoMo 2013. Now on to the next challenge! And special thanks also to all those who stopped by and “liked” my blog. It would take me quite awhile to post the links to all of you…and it’s getting late. So I will post my links to you at another time.